There's a cooking term I've always enjoyed the sound of. It's the phrase 'A rolling boiling'. 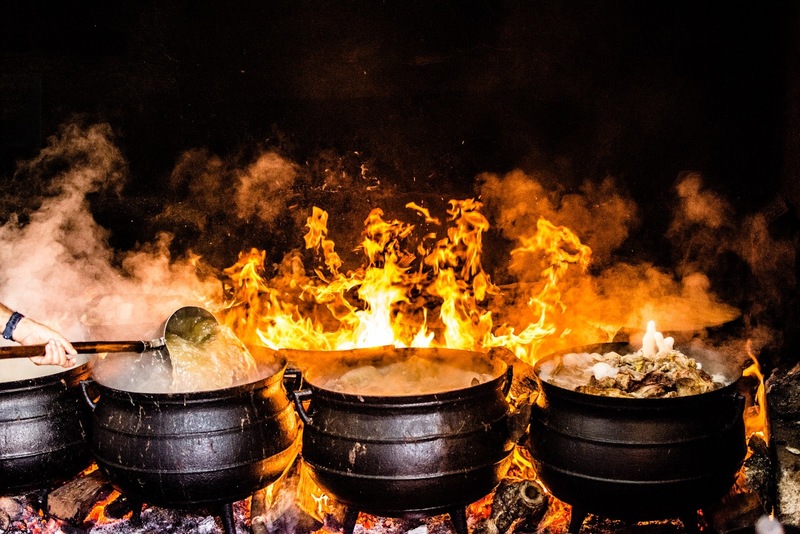 You'd probably have something on a rolling boil if you're making some kind of sauce, or reducing a stock. Quite often I read scripts that feel like a rolling boil. But this isn't usually a good thing. Maybe lots of things are about the script are good. It might feel like an original situation with good characters that have comic perspectives and they say jokes. And each scene contains events. But you get to page 10 and you don't get a sense that anything is actually building. By the time you get to page 20, you're still enjoying the script and jokes, but it doesn't look like it's going to boil over into calamity or chaos any time soon. Then you hit page thirty and it all wraps up. Or at least, someone turns off the heat. Or, worse, the heat was turned off on Page 20 and the whole thing is starting to cool down. I think I've pushed that rolling boil metaphor as far as it can go. Sorry about that. A sitcom needs to be a series of dramatic and emotional peaks and troughs. But even that's not enough. They need to lead from one scene to the next. From one beat to the next beat. We don't want scenes ending with equilibrium being restored. You want to do that over the course of your script, but each scene needs to fit into that overall structure. Imagine our opening scene in which our hero is trying to fix her car. If, by the end of that first scene, the car is fixed, and she drives off, there's no real drama or story there. It might be a lovely well-written scene with jokes and character, but it's the beginning of a story. It's not a vignette. Or shouldn't be. If she is able to fix the car for now, so that it runs, and but knows she needs it looked at - ideally by her dad, but she can't bear to ask him because he'll want something in return - now we have a story. Mistake 5: You’re writing a series of vignettes, not a sitcom. So, have you written a sitcom script? Or is it a series of sketches, or scenes? It needs to be more than the sum total of the parts. Each scene should end with a clear action point for the characters, an altered quest or a new hurdle to overcome. The rolling boil won't give you enough heat. There needs to be slightly too much heat, so the whole pot will boil over, and then we'll really see what our characters are made of, and it should be very funny. What Makes a Truly Great Sitcom? This is a different question from what you need to make a good sitcom? Or what are the key ingredients? The answers to most questions like that is normally 'characters'. They are what draw you into a sitcom. The idea might grab your attention. The plots are need to feel fresh and original, sure, but they are only really the ways in which your characters express themselves. We've all read Story by McKee, or at least we feel like we have. But story and character are not enough. When I talk to new writers these days, I ask three questions. Why you? Why this? And why now? The first two questions are about why you, the writer, feel qualified to write about this idea. Do you have experience or passion? What have you insight do you have into this world of techies or surgeons or millennials? And can you execute a script accordingly? But that 'why now' question is easily missed. And I think it's the secret sauce here. We all know the secret of comedy is timing. But it's not just the timing of the joke, but the timing of the show. When does it comes out? Is it riding a wave, or predicting the future in a believable or satirical way? Shows like The Day Today felt like the creators had seen the future, or at least where we were headed. It was like now only more so. This was the direction of travel of news. And they weren't far wrong. It felt perfectly of the moment. It was a truly great show, but not a sitcom. 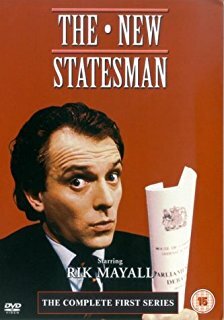 The New Statesman is an example of a sitcom that was truly of the moment, satirically pushing Thatcherism to it's ultimate conclusion via the grotesquely evil and wonderfully name Alan B'Stard. But timing is difficult. 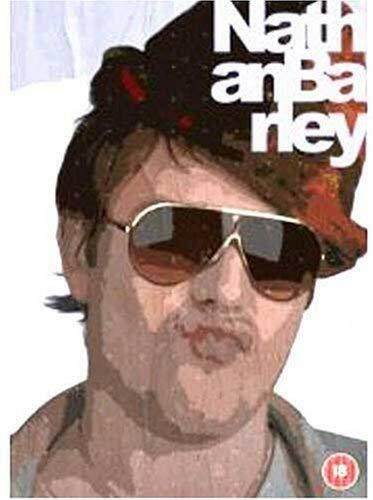 I never quite understood why Nathan Barley felt like it had missed the boat. 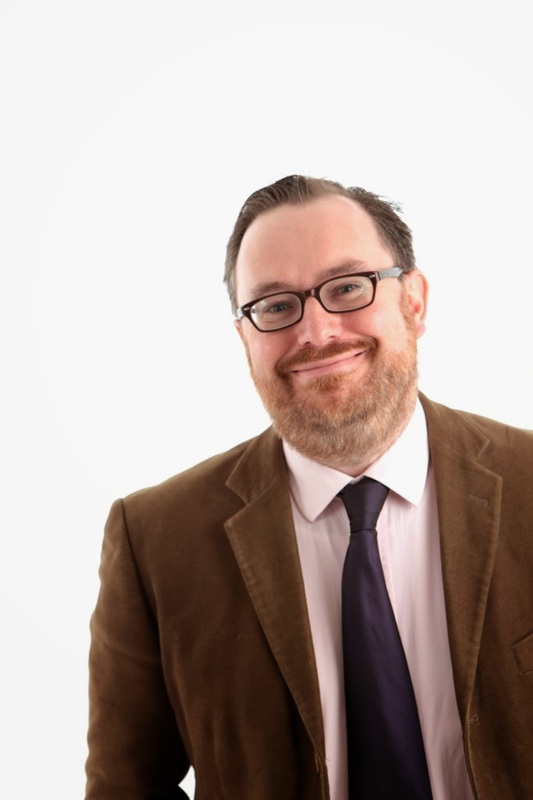 The man behind (and in front) of The Day Today, along with the consistently brilliant Charlie Brooker, served up a sitcom that felt like its moment had already passed. It came out in 2005. It felt like we had all noticed this mad world of new media was filled with lightweights and airheads. The dotcom bubble had burst a few years earlier. 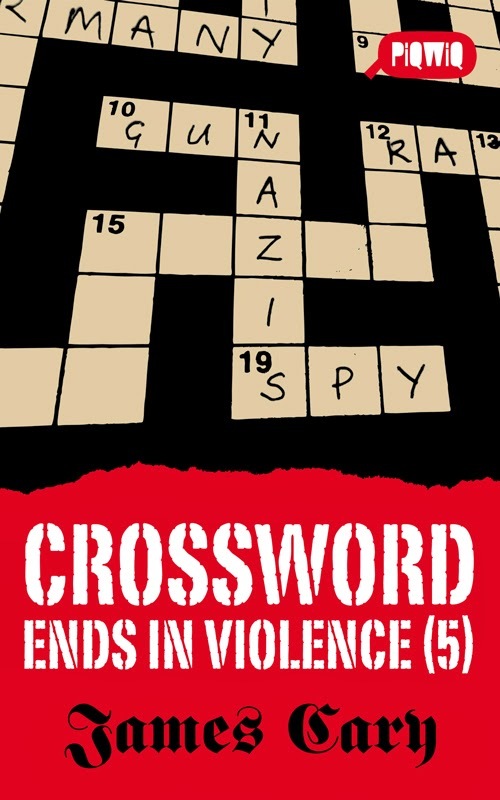 I was rather puzzled when I watched the show, expecting something more prophetic. If the show had launched in 1998, it would have been truly ahead of the curve. That said, I rewatched some episodes recently and found it funny, as it was a time capsule in it's own way. It's so entrenched in a time and place that 15-20 years on you don't worry about five years this way or that way. 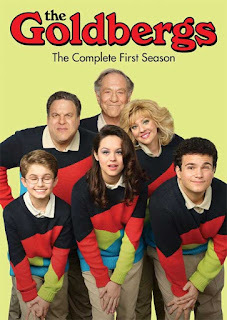 (The Goldbergs certainly don't!) You just remember a decade and think "yep. That's how it was. Or at least how it seemed". It's one reasons why the BBC should make more historical comedies. They don't date. 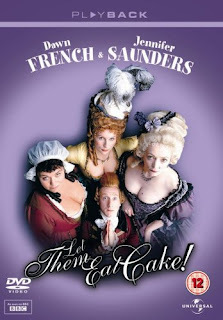 We still love Blackadder. Dad's Army still dominates the BBC2 comedy ratings. Maybe we should all take another look at Let Them Eat Cake. So there's something timely about a show that makes it great. The Thick of It was a very timely show. There was a freshness to it which showed how we did politics then (and now). It was well written and craft, with brilliant monstrous characters along with some jaw-dropping lines. One or two clips still give me a rush, like the time Malcom Tucker pushes back at the Goulding Inquiry and refuses to accept that he is the bad guy. And his scene with Olly, trying to talk about Star Wars, is just amazing (see below). It's a great show. I watched every episode. It has all of the key ingredients. Including timing. It was timely. It was of the moment. Timely is good. The only thing that could be better is being timeless. Step forward my favourite sitcom of all time, Yes Prime Minster. It's the Rolls Royce of sitcoms. Not only is it engineering perfection, but it feels like it's never out of date. Each episode is about an issue of contemporary life or public policy which is then examined from both sides in a measured and considerate way, by two wonderful characters played by brilliant actors who's lines are not only perfection but very very funny. It's up there with the very best of Oscar Wilde and GK Chesterton. It's stuff people will still be quoting in a hundred years time. It's timeless. And truly great. Of course, some shows aren't just timely or timeless. Somehow, they are both. And maybe that's why the platinum-sitcom in the UK remains Only Fools and Horses. It was, in its pomp, the ultimate sitcom in reflecting its time. Del Boy's journey from scrapping market trader to wannabe yuppie was exactly of it's time. Even Rodney's journey from trading sidekick to computer programmer said something about the times. But the whole show was about a family scrapping to survive. What could be more universal and timeless about that? Which is why it's back again in the West End. People can't get enough of it. Because it's truly great. 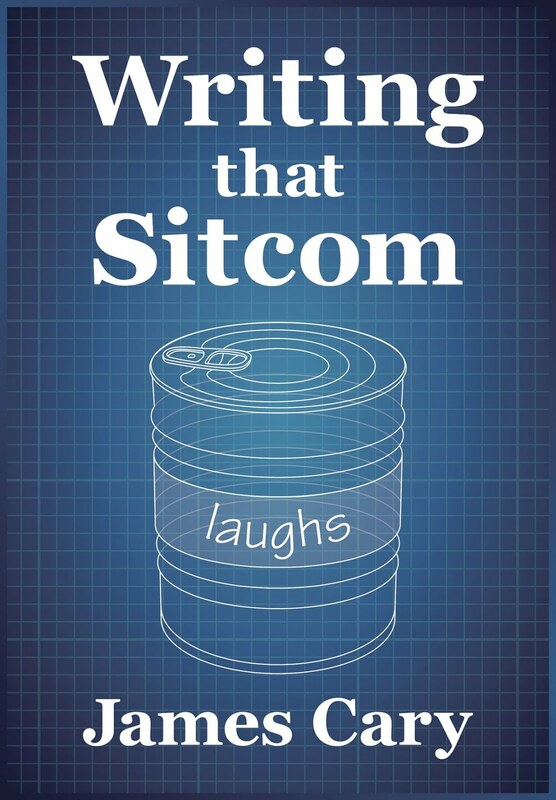 You might want to think about getting my book, Writing That Sitcom, which is available for the Kindle/Kindle App via Amazon here. I remember listening to an episode of Friends from another room. I couldn’t hear the dialogue. All I could hear was the audience laughter, and how frighteningly regular it was. It seemed every other line was getting a laugh. The metronomic frequency of those laughs is an astonishing achievement, given the writers are weaving story and character on top together at the same time. But it’s easy to think about this the wrong way. I just did at the end of that last paragraph. I set up story and character as enemies of jokes, as if characters just say funny things regardless of situation or context. No, the context and the characters give you the jokes. Static characters that don’t move or have quests are merely spouting jokes. This can sustain for a while but only if the jokes are really funny. Panel games do this. Half a dozen people are rooted to chairs being asked questions or set challenges. 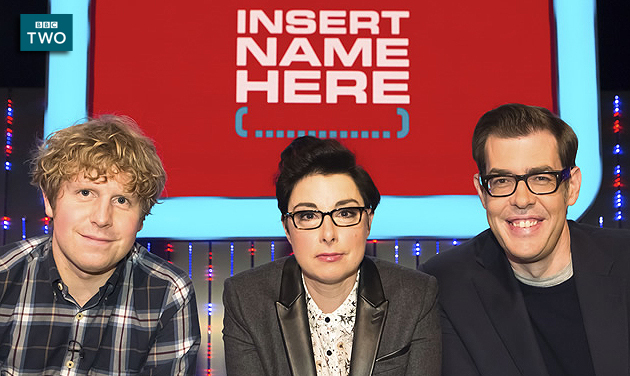 There are different rounds to give some variation – and normally there’s a clever one (Stephen Fry or Richard Osman) and a less clever one (Alan Davies, Josh Widdicombe). And even those are artificial personae to some extent. Alan Davies is no fool! They normally record panel games for two and a half hours, and only very best is selected and broadcast. The show is assembled in the edit. You can’t do this in a sitcom. You can’t afford to shoot even 50 minutes and put it together in the edit for a number of reasons. Firstly, you don’t have the luxury of paying dozens of people thousands of pounds to produce television that’s going to be cut. There just isn’t that much money in the system, especially when you have a timeslot to fill. Sure, you can shoot a movie thinking it’s going to be two hours. In the edit, you may discover it’s better at ninety minutes (most movies are). No-one really cares about the final running time because that money has been spent, and the cinema chains aren’t bothered if the movie runs at 87 minutes or 140 minutes. (The movie that is 87 minutes will probably be better, especially if it’s a comedy. Yes, I know, The Godfather blah blah blah.). In TV, you have a slot to fill and you have to deliver the show to the right length, not just once but six, ten or 24 times over. And you can't afford to over shoot by ten minutes 24 times. That's four hours of television that's going in the bin without seeing the light of day. Mistake 4: You’re writing a panel game, not a sitcom. It’s not just about time and money (although there’s never enough of either, especially in a studio sitcom which I write about here, here and here). The other issue is storytelling. If you're writing and shooting long, your episode won’t make sense at 28 minutes. If the show is plotted properly the show should almost be uneditable as stories relate to each other, running jokes are established and the final third pays of the first two acts of set-up. You’re only recording 32 minutes if you’re filming in front of an audience. Maybe 34 if you’re shooting single camera. It has to be tight. Ask Jerry Seinfeld. Remember, you’re trying to write a sitcom, not a panel game. You need to tell a story with a beginning and a middle and end. Get on with it. Be clear about who the story is about and what their goals are. The jokes then come as a result of that. The mistake that is often made is that the first ten pages of a script are filled with jokes – essentially banter – and no story or character. This won’t do. Jokes without a context don’t really sustain or build momentum. You only need one joke that misfires and the atmosphere dips and the audience (and cast if you get that far) start to panic. Essentially, we’ve all looked down and seen we’ve run out of bridge and we’re all standing on thin air. We will fall to the ground like Wile E Coyote. Make sure your characters have quests and attitudes, and trust that the comedy will come from that, rather than a string of one-liners and zingers, that often feel like they’re borrowed from other sitcoms anyway. (Side note, if you see any of the lines from your script on this list, delete and replace at once). You’re writing a spec sitcom script. It’s probably the pilot episode. And want to grab the audience’s attention and hook them in. I read quite a few scripts which begin with three apparently unrelated scenes or characters and I’m left wondering how they all connect up. Each scene stands alone, and I’m clearly not meant to know who anyone is. That’s all fine if you’re watching a murder mystery like those two-hour ITV series like Endeavour or an Agatha Christie adaptation. As with movies, those shows have a much longer running time and will take at least ninety minutes to unravel. You're writing a sitcom. You don’t have ninety minutes. You’ve got about twenty five. Get on with it. If you want to see what 'getting on with it' looks like, watch any episode of Modern Family which crunches through story at a ferocious pace. There are usually three stories started and developed within seven minutes. Within seven minutes, nine or ten characters are flapping around, or walking on egg-shells or trying to avoid each other. It’s masterful. And funny. That last one is so important. Funny. Easy to overlook that one. You're writing a sitcom, remember? 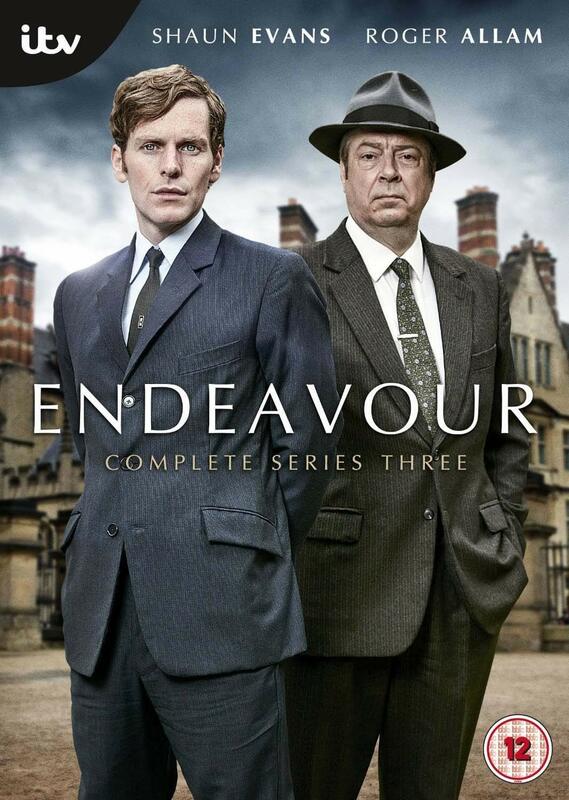 Endeavour and Agatha Christie are not only 90 minutes long. They’re not trying to be funny. This is just as well because murder mysteries struggle to be funny. Why? Because the writer is trying to confuse and misdirect the audience. Confusion, as I often write on this blog, is the enemy of comedy. A confused audience can’t laugh. It won’t laugh. Jokes require the delivery of information in a carefully controlled way to avoid confusion. (See my forthcoming book, The Sacred Art of Joking for plenty on the mechanics of this). You’re writing a sitcom, remember? Funny is what we want. So don’t spend ten pages trying to intrigue your audience. You need to make them laugh. Gimmicky tricks with timelines, powerful juxtapositions or artistic references are not your friend here. In the right hands, they can be brilliant (see episodes of Coupling by Steven Moffat, for example). As a rule, these tricks are comedy kryptonite. Besides, these devices will obscure the one thing that you’re trying to showcase and sell: your cast of characters. Audience tend to respond to people, rather than ideas or concepts. Advertisers know this. It’s why most adverts have human faces in them. It’s why testimonials are so effective. It’s why just reading the words Del Boy, Victor Meldrew or Edina might raise a smile. So put your characters front and centre. Tell us who they are, what they’re about and what they're trying to do. But in so doing, don’t fall into another trap. There is a third and fourth way of falling off this horse. The first of those is the making the mistake of giving us backstory. We’ll look at that in the next post. In the meantime, why not book tickets to come and see Dave and I record the 100th Episode of Sitcom Geeks at the Museum of Comedy in Bloomsbury? We'll be talking to Marcus Brigstocke and Sarah Morgan, who know a thing or three about sitcom. And you'll also meet other writers when we all hang out for drinks in the bar afterwards. See you there. It always seems unfair that new sitcom writers have to do the hardest things first. Creating a new sitcom that feels original, but identifiable, fresh, but somehow familiar, is really difficult. Plotting and writing the pilot script is fraught with pitfalls. Let's assume that your sitcom idea is not the problem. You have the characters. You have a story. You've written a script. Those first ten pages are crucial in selling that script and, more importantly, selling you as a writer. On the Sitcom Geeks podcast, Dave Cohen and I encounter quite a few scripts. (If you join the Patreon scheme, we will read the first ten pages of your script and do a podcast about it for subscribers.) 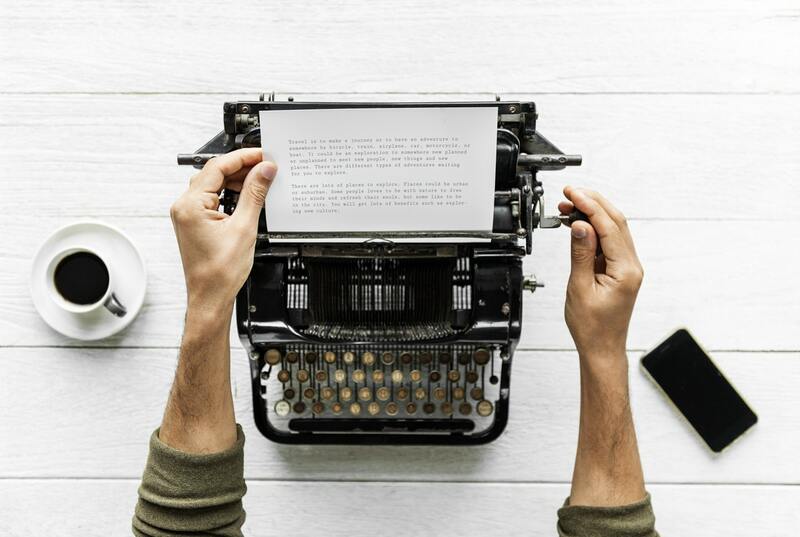 In reading such scripts, and numerous others over the last few years, I've noticed five ways in which newer writers tend to fall off the horse in their first ten pages of their sitcom script. Movies have their own way of starting. Or at least they used to. (I only watch half a dozen movies a year, and most of them are family movies which can be a bit crash-bang-wallop at the beginning.) But the general idea is that in grown-up movies, you establish some normality and build the world before dropping a bombshell. So people drive around listening to the radio, or walk through corridors greeting people, or get home from work, throw keys on tables and go out into the garden to play with their kids. Or they clock on to their dead end job in a video store and mutter and murmur and pour themselves coffee. That’s all fine in a movie. We are establishing where are we, and who the characters are before the inciting incident which will send at least one of them on a journey of self-discovery and, crucially, change. In movies people change. In sitcoms, they don't. They mustn't. They cannot. (In that sense, sitcoms are probably more true to life, but we can have that discussion another time). It’s why sitcom movies don’t work. Movies have a beginning, middle and end. Sitcoms are all middle. The point here is that in a movie, you’ve got 90-120 pages to play with. So you have at least ten pages to set up your world and your characters. The credits are rolling. The scene is being set. The audience has paid their money and booked a babysitter to watch your movie. They’re not going to walk out after 9 minutes because they’re a bit bored. In TV, it's all different. There are hundreds of channels, streaming services and remote controls. Your viewer might well turn over after three minutes if they’re bored. More likely, the producer reading your spec script is going to give up and move on to the next one. (They have a pile of fifteen scripts that they are trying to get through) How are you going to grab their attention and keep it? Remember you've only got 30 pages to introduce your characters, start your story, put in some twists and some jokes and get it all wrapped. Thirty pages. GET ON WITH IT. Tell a story. Lead the viewer through it. This is most common mistake when Dave and I read the first ten pages of a script. Nothing happens until page ten. It's all set up and scene setting. People are talking - often with decent jokes. But ten minutes of screen time are being wasted. Start your story on Page 1. Okay, do some set-up and jokes on page 1 if you must. But get the characters moving, not just talking or driving around. By page 10, your character should have established their quest, tried, failed and ideally made it worse. You're writing a sitcom. Not a movie. Make sure you don't fall off the horse on this side. In an attempting to avoid this first mistake you might fall off the horse on the other side, which is the mistake of writing a murder mystery, not a sitcom. And we will look at that next time. Where Do Sitcom Characters Come From? It’s a good question, especially if you’re in the business of writing and creating sitcom. A sitcom isn’t really a situation, but a place where characters interact and generally get on each other's nerves. That wasn’t hard, was it? But why are we in these situations? Who is there? Why are we watching? Who are the characters? And where do they come from? How do we think them up? Way back when Dave Cohen and I started the Sitcom Geeks podcast, we talked about characters being ‘Larger than Life’, like Alf Garnett or Edina from Ab Fab. It’s still a good place to start. But the rise of single camera shows and fly-on-the-wall docs may beguile us into thinking that modern sitcom characters should be less cartoonish, more moderate and realistic. Hopefully, a few episodes of Brooklyn 99 or The Goldbergs should dispel that notion. Here’s the thing: Beverley Goldberg is not even a fictional character. Real people are often ‘larger than life’. See also Brian Clough and Gordon Ramsay. I’ve written more about them here. But what if you’re seeking to create a character, or you don’t have an insanely protective Jewish mother to drop into your sitcom? No problem. Just think of a comedy character. Make one up. Invent one. But this is easier said than done. Much as writers like to think these characters can be plucked from the deepest recesses of their imaginations and dropped, fully-formed, into their sitcoms, the reality is that they can take a very long time to develop. The way to increase your chances is to think of lots of characters. And the way to do that is to write sketches. On Twitter the other day, some of us were musing on the number of sitcoms that were based around characters that originally began life as a sketch. Edina from Ab Fab began as a sketch in French and Saunders. This is not an usual situation. We also noted how characters like Alan Partridge, Rab C Nesbitt, Dave Lister (Red Dwarf) began life as sketch characters. See also The Detectives, Still Game, Mr Don & Mr George, Grass and Pixelface. UK Gold's The Rebel was a cartoon strip, as was BBC Radio 4's Clare in the Community. Let us not forget one of the greatest TV shows of all time, The Simpsons, began life as filler on The Tracey Ullman Show. But, when one thinks about, all recent BBC1 mainstream sitcom hits have not merely come from a writer’s imagination and spun immediately into comedy gold. They all had a serious head start. 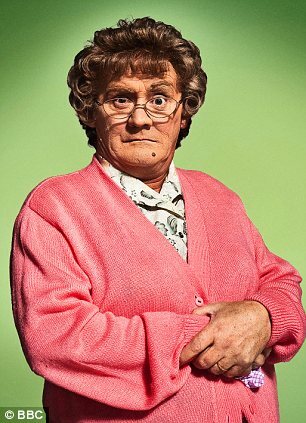 Mrs Brown began life as a radio character, before becoming books and, yes, a movie starring Anjelica Huston (yes. seriously) and then a stage show. Mr Khan, from Citizen Khan, had appeared in BBC2’s Bellamy’s People and it’s precursor, BBC Radio 4’s Down the Line. One might also argue that the sitcom personae of both Miranda Hart and Lee Mack had come through years of live performances, Edinburgh shows and radio sketch shows before becoming the characters in Miranda and Not Going Out. Take action. Write sketches. Create characters with strong voices that will sustain comedy sketches, and are very easy for the audience to get a handle on. Who knows? One of these creations might turn into a TV sitcom in 2-15 years time (after the Hollywood movie or spoof radio show appearance). Writing sketches is worthwhile anyway. Sketches are not only a great place for writers to learn their craft. They are also like comedy lego bricks that build bigger things like sitcoms and movies. It’s a triple disaster since writers are losing out on places to learn their craft, but also to make a living to keep them in the game. And the TV landscape is being robbed of places where comedy characters are being incubated before growing into fully fledged sitcom charaters. Tracey Ullman’s BBC1 shows are the notable exception. But let’s also remember where she got her break? In a sketch show called Three of a Kind. Maybe the execs are just hoping lightening strikes twice and that some cheap, badly drawn insert in Tracy Ullman's show becomes a multi-billion-dollar juggernaut that runs for 26 years longer than the show it started in. Maybe it will, but that’s still only one show. BBC1 needs three or four. And ITV would like a couple. Where will these tried and tested sitcom characters come from? I honestly don’t know. Maybe you?